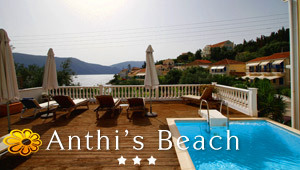 Zanza cafe bar is located in the beautiful coastal settlement of Poros, Kefalonia. The bar is located on the beachfront offering excellent view to the sea. Zanza is a well known spot in Poros. It is mostly popular for the fine cocktails and the loud music. The bar opens at 9 in the morning serving coffee and a full breakfast and various snacks. The bartender makes original cocktails and drinks. Zanza covers all kinds of music. Also the bar arranges special occasions and branded parties with experienced DJs. At Zanza lots of things happen, which keep its guests engrossed so that they can really have enjoyable holidays on this lovely island.